A Parks Associates report finds gaming remains the primary use case for VR (virtual reality) headsets. 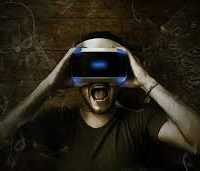 Virtual Reality: The Evolving Ecosystem finds consumer-reported familiarity with VR technology has stayed at approximately one-quarter of US broadband households between 2017 and 2018, with gamers most likely to be familiar with this technology. Some 8 per cent of US broadband households own a VR headset. Among consumers who own or are familiar with VR, 54 per cent use their headset or would use it for gaming. Content quality remains a challenge for VR headset owners, with 55 per cent of VR headset owners feeling that content for their device has remained the same since they bought their headset and 3 per cent believe it has worsened. The report notes the main barriers for VR content development are costs, the demand for interactivity, and limits on content length. Mobile headsets are capable of playing most non-gaming content in VR but often cannot play premium games and have much lower NPS scores than other headset types. For gamers, PC-based and game console-based systems are the primary VR headset option, though standalone VR headsets are promoted as a cost saver. 15 per cent of US broadband households have trialled VR. 52 per cent of headset owners report owning a smartphone-based system. PC-based systems and game console-based systems are the next most popular systems, with effectively the same adoption rate. 28 per cent of game console owners are familiar with VR headsets, and familiarity is even higher among owners of newer consoles.